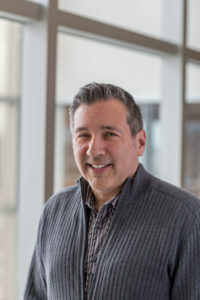 SOUTHFIELD, MI – April4, 2018- Neumann/Smith Architecture, one of Michigan’s most distinguished design firms, has hired Leo Valentino Mendez, Jr., AIA, as Director of Design, to strengthen our collaborative design philosophy and leadership at Neumann/Smith. An award-winning designer with more than 20 years of experience, Leo will lead Neumann/Smith’s creative team with focus on elevating design, innovation and the client experience. He brings diverse and wide-ranging expertise that heightens the firm’s commitment to high-quality design. In addition to expanding initiatives for design excellence, his leadership will advance the firm’s ability to help clients achieve more. Leo possesses a unique blend of planning, management, and design experience. His background entails Master Planning and Conceptual Design for Retail, Urban Planning, Mixed-Use, and Adaptive Re-Use and Renovation projects. He earned a Bachelor of Architecture and a Bachelor of Business Administration from University of Detroit Mercy and is a member of the American Institute of Architects, National Council of Architectural Boards (NCARB), and International Council of Shopping Centers (ICSC). Leo is a Registered Architect in Michigan and Arizona.